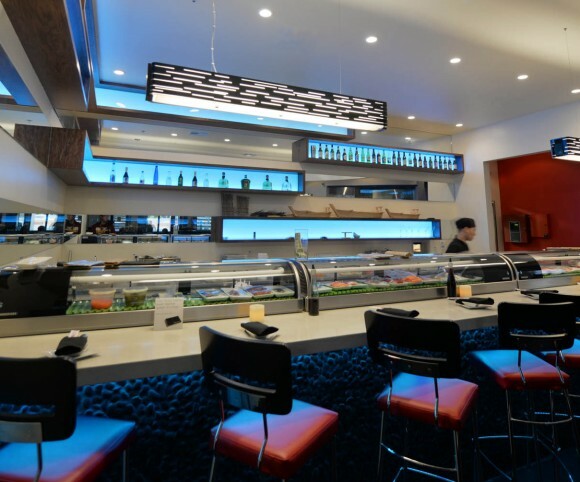 About: Hanami Sushi Teppan Bar is located on Airport Freeway in Bedford, TX. Hanami 花見 translates to flower viewing. It is a term that refers to the traditional Japanese custom of enjoying the transient beauty of flowers, most common being the cherry blossom. 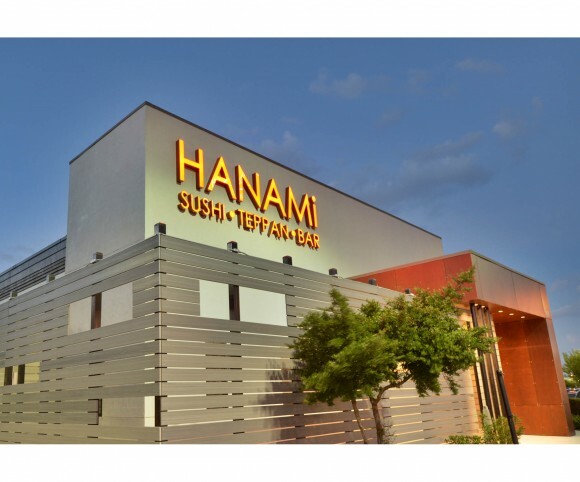 Hanami is a sophisticated twist on the traditional Japanese Izakaya style of informal eating and drinking. 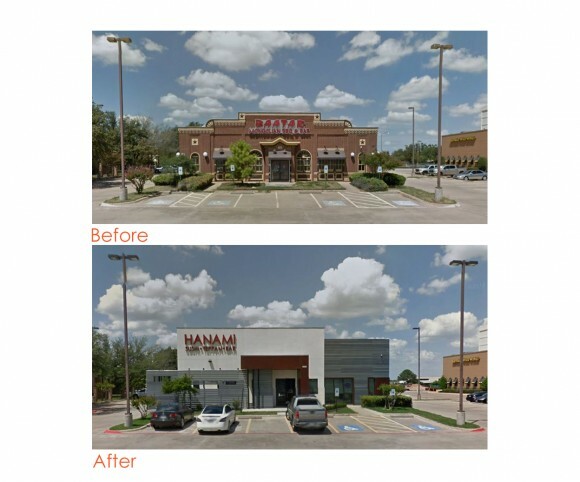 Exterior: Introducing new materials, a dated Black Eyed Pea prototype building was transformed into a fresh modern restaurant, all to be seen from the freeway. Interior: The interior space is conceived to be both transparent and filled with a range of differing spaces creating a heterogeneous whole. 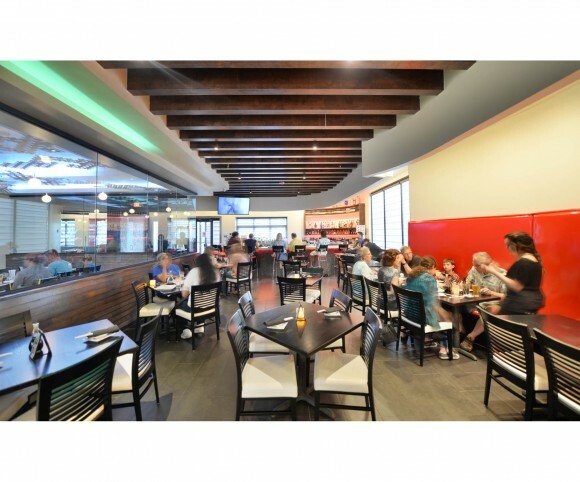 Once inside the restaurant, there are three main functional areas; dining room, party room, and hibachi room. 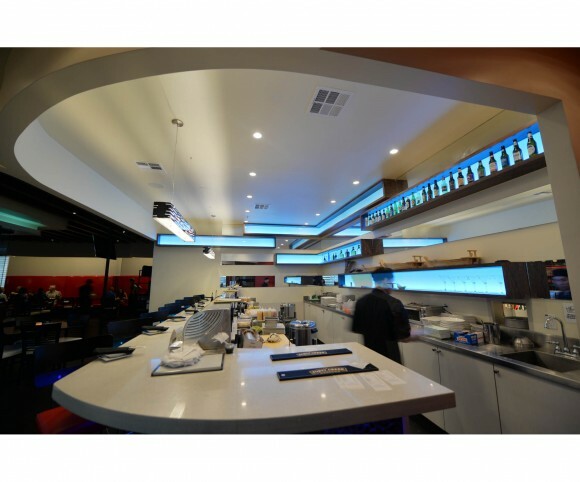 On axis from the front door, one can look across the party room to the sushi bar and chefs. Adjacent to the entry is a wet bar that connects to an outdoor patio for year-round use. The dining room contains high back seating that peels from the existing wall. 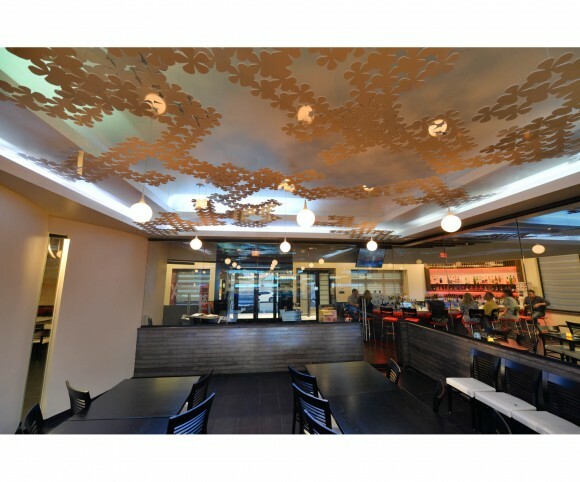 The party room celebrates the idea of Hanami with a canopy of flowers falling from above.